Kurt D. Panouses, P.A. enjoys a great working relationship with local law firms and accounting firms. We regularly work with other attorneys and CPAs in order to provide exceptional service to our clients and their families. Although we do not practice in the areas of personal injury, family law and real estate, we would be more than happy to refer your legal matter to an experienced and knowledgeable attorney. For immediate assistance with your estate planning, business, tax, administration or litigation matter, or if you are in need of a referral for an attorney to assist you with your legal matter please contact our office by telephone at (321) 729-9455 or by e-mail at: office@panouseslaw.com. Kurt has been practicing in the areas of estate planning, estate administration, and taxation for more than thirty years. Prior to opening his practice, Kurt was a shareholder in a Brevard County law firm where he headed the firm’s Trusts and Estates division. Prior to practicing law, Kurt had seven years of public accounting experience, the most recent of which was with the Chicago office of Price Waterhouse. 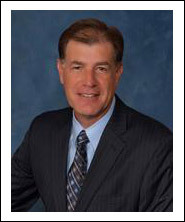 Kurt is Board Certified by the Florida Bar as a Specialist in Wills, Trusts, and Estates Law. He is a member of the bar associations in the states of Florida and Illinois, and has been admitted to practice before the U.S. Tax Court. In addition, Kurt has maintained his license as a Certified Public Accountant. been certified by the Florida Bar since 1997. Board of Directors for Community Foundation of Brevard, Inc.
President for Wuesthoff Health Systems Foundation, Inc.
Board of Directors for Wuesthoff Health Systems Foundation, Inc.
Board of Directors for Brevard Museum of Art and Science, Inc.
Board of Directors, Brevard Community College Foundation, Inc.